This Wednesday, Moda de la Mode starts it's 'Blogger Style' feature which showcases the personal style of our readers. 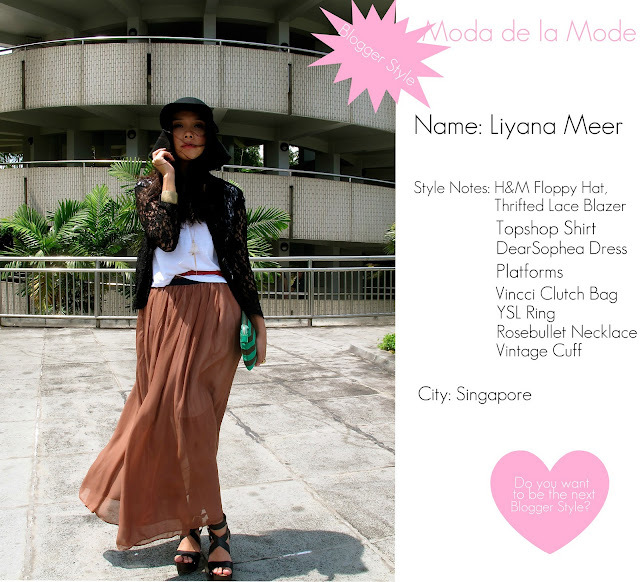 We are pleased to announce that our first blogger showcasing their style is the gorgeous Liyana Meer from the blog Sunshine Summer. Her eclectic style made up from lace mixed with crisp cotton and floaty chiffon is just to die for as is her beautiful blog where she posts more of her lovely outfits.